2017 Voting & Election Results. Every resident of Canaan who has a fixed and permanent domicile in the town, who is a citizen of the United States, and who is 18 years of age may register to vote in the town. A resident is someone who has a domicile in the town on a continuing basis for a significant portion of each year. A person can have only one domicile for the purpose of voting. Voter Registration Card: Information that must be provided includes name, address (mailing and legal residence), place and date of birth and proof of citizenship. Filling out the voter registration card and signing it involves a solemn oath that the information is true. No one is required to list a party affiliation, but in New Hampshire one may register as a Democrat or Republican. Listing oneself as undeclared means that one has no party preference; there is no "independent" party. In primary elections an undeclared voter may request any party's ballot at the polls and will be listed on the checklist in the future as affiliated with that party. A voter who wishes to return to undeclared status after voting may do so at the place of polling by filling out a card and giving it to a Supervisor of the Checklist, however, change of party affiliation from one party to another may be done no sooner than the day after election. 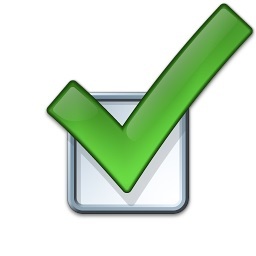 If the qualifications to vote are met, the Supervisors of the Checklist will add the applicant to the voter checklist. As a registered voter of Canaan, New Hampshire, one has the right to vote at any meeting or election held within the town. One also shares in all the responsibilities of being a citizen of the town and state. Individuals may register to vote at the Town Office on Main Street during office hours. Applications may be made at any time of the year (except 10 days prior to any election). There are also special registration sessions on Saturday mornings and evening hours on certain dates just prior to an election. These dates are published in the Valley News and posted on the bulletin board at the door of the Town Office. You may also register at the Polls on Election Days. Individuals unable to vote in person may request an absentee ballot from the Town Clerk's Office, PO Box 38 Canaan, N.H. 03741. Voters choosing to vote by absentee ballot must sign a request form before obtaining a ballot. Upon receipt of the signed request, an absentee ballot will either be given or mailed (RSA 657:15) to the voter. Once the ballot is completed, the voter must personally deliver it during our office hours or mail the ballot (RSA 657:17) to the Town Clerk's office. Receipt and procressing of your absentee ballot progess can be followed by using this link provided by the state of NH. Supervisors of the Checklist are elected and given the responsibility of registering the voters of Canaan and maintaining the checklist that is used at all elections. They serve in that capacity for the Town of Canaan and for the School District. Secretary of State's Election Division Page! What and who are the Supervisors of the Checklist? The "Supervisors of the Checklist" are three elected voters of the Town of Canaan that perform the functions of registering voters, posting the checklists and correcting the checklist of registered voters. Canaan has three Supervisors elected for 6 year terms. What do the Supervisors do to add people to the checklist? When the supervisors of the checklist receive a registration form from the town or city clerk or when an applicant submits the form to the supervisors in person at a session for the correction of the checklist, the supervisors of the checklist shall add the name to the checklist, unless it is established that it is more likely than not that the applicant is not qualified to vote in the town. What about former registrations in other towns? Upon entry of the voter record in the statewide centralized voter registration database, the supervisors of the checklist in another New Hampshire city or town will receive notice through the statewide centralized voter registration database that the voter has moved. If the supervisors decide not to add the name of the applicant to the checklist, they shall send notification in writing to the applicant within 7 days stating the reason for the denial. They shall write the word "REJECTED" and the date of rejection across the registration form. A denial may be appealed. The supervisors are responsible for the on-going maintenance of the checklists and registration information. The information to be maintained and updated shall include the full name, domicile address, mailing address, and party affiliation, if any, of each voter on the checklist. The supervisors shall make and post copies of the current checklist at the office of the town or city clerk or at the town hall not later than the fourth Tuesday before the day of any state election. The supervisors shall verify the checklist at least once every 10 years. The supervisors shall advertise and post notice at least twice in a newspaper that they are verifying the check. The supervisors shall review the checklist and shall remove names of all persons who have not registered or re-registered after prior notice to the person. (b) The person has been added to the checklist since the last state general election. "The election of a town moderator under RSA 40:1 is done at the annual meeting in every even-numbered year by ballot. The moderator does not assume office until the adjournment of the regular town business meeting held that year. State law gives the moderator the duty to preside at the town meeting, decide questions of order, and make a public declaration of every vote passed. The moderator can prescribe rules of proceeding for the town meeting, but these rules "may be altered by the town." Most of the moderator's rulings can be legally overruled by majority vote of the voters if they question that ruling. Even if the voters have previously adopted rules of procedure, they can still vote to overrule the moderator on the issue of whether those rules are being followed. The voters cannot validly overrule the moderator however, where the moderator is simply applying a requirement of state law that controls town meeting procedure. For example, if the moderator rules that a two-thirds majority vote is needed to authorize the issuance of bonds, the meeting cannot legally overrule the moderator because the two-thirds vote is mandated by law. The moderator may appoint an assistant moderator who holds office at the pleasure of the moderator. The assistant moderator has all the duties and powers of the moderator, subject to the control of the moderator. According to state law, vacancies in the office of town moderator are filled by appointment made by the supervisors of the checklist, or by the selectmen if no board of supervisors exists. If the moderator is absent from any meeting or is unable to perform the moderator's duties, but a permanent vacancy has not been created, a moderator pro tempore is appointed by the moderator. The salary of the moderator is set by town meeting vote. Watch here for information on dates & times of the next election. Supervisors of the Checklist determine voter qualifications, add voters, prepare and update the checklist, and reverify the list every 10 years. Click here to view the archives of Canaan Town Reports! Once you open a report, you many search that report if you choose the "Read Online" Option.